Political sports writer and historian, Dave Zirin speaks at the Wexner Center in Columbus. Full board recording. An assessment of media representations of John McCain. Two segments about the benefits of urban trees in light of the City of Columbus’ recent campaign to eradicate all trees that are affecting sidewalks (rather than modify the sidewalks, which requires caring and imagination). 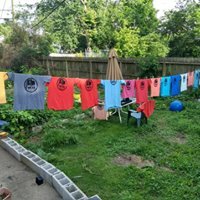 Dozens of volunteers spent thousands of hours gathering signatures for a proposal that would grant Columbus the right to regulate or ban industrial activities that pose a public health risk or jeopardize the city’s air and water, such as fracking, waste injection wells, or placement of radioactive mine tailings in municipal landfills. 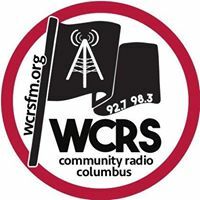 But the Franklin County Board of Elections denied the Columbus Community Bill of Rights issue ballot access, even after the Columbus Community Council had approved sending the proposal to the November ballot. Audio from the Board of Elections meeting and interview with attorney Terry Lodge and Community Environmental Legal Defense Fund organizer Tish O’Dell. Also: discussion of the issue of confederate monument removals in the wake of the removal of one such statue at the university of North Carolina by student activists. Interview with National Abortion Rights Action League Ohio chapter deputy director Jaime Miracle on the status of abortion rights and the struggle ahead in light of the recent Supreme Court nomination. Audio from two immigration rights rallies, one on the Brooklyn Bridge, reported by Pacifica’s Mitchel Cohen, and another in Columbus, recorded for the show. Economic and political crises are unfolding in both Venezuela and Nicaragua, partly caused by deliberate meddling by the United States, and partly by missteps of the elected administrations in those countries, and external economic factors, yet the American media paints a simpler (and inaccurate) picture of both Venezuela’s Maduro and Nicaragua as textbook petty dictators bent on consolidating power at any cost. Two reports from Al Jazeera English are presented here that offer a more nuanced view. Two speeches regarding Israel/Palestine offering perspectives not usually heard in the American media. A recent lecture by Cornel West and commentary about the disconnectedness of the Black elite class in the wake of recent “off color” remarks by hip hop mogul Kanye West. This entry was posted in Listen to This, News by Diane Reinhardt. Bookmark the permalink.